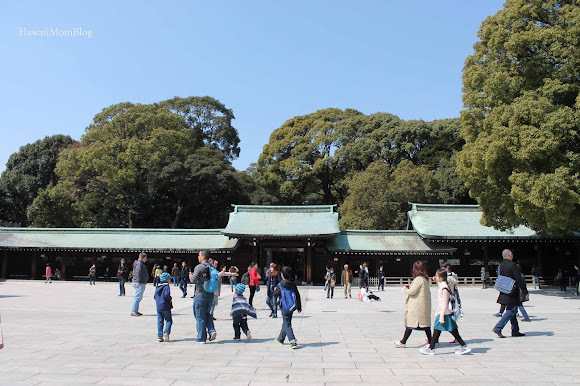 Meiji Jingu is a Shinto Shrine dedicated to Emperor Meiji and Empress Shoken. 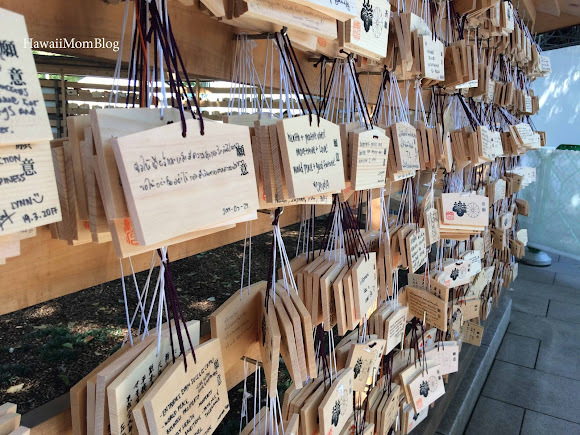 The shrine is in the midst of a forest which was created by volunteers who donated over 100,000 trees. People believe that the souls of the Emperor and Empress continue to live on in the forest. On our first visit to Meiji Jingu several years ago, my husband and I wrote a gratitude message on a votive tablet, and I wanted to go back with the family and write a message on behalf of our entire family. 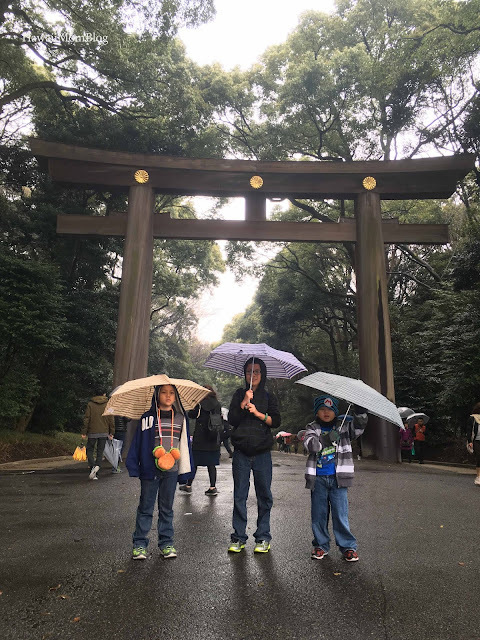 The first day we visited it was pouring, so we returned two days later. 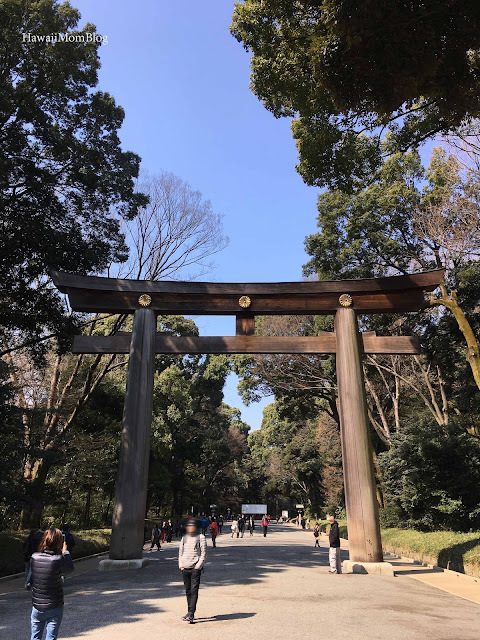 There are several torii (gates) leading up to the shrine. 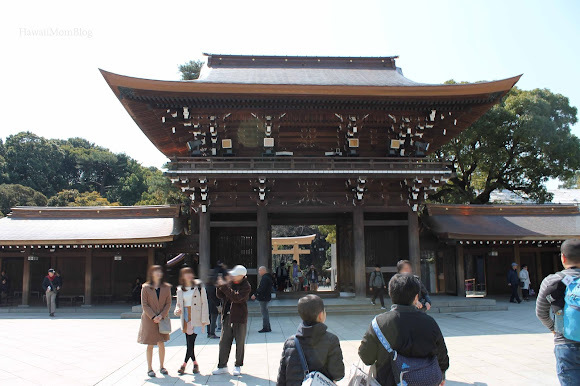 You are supposed to bow once when entering, and once when leaving. 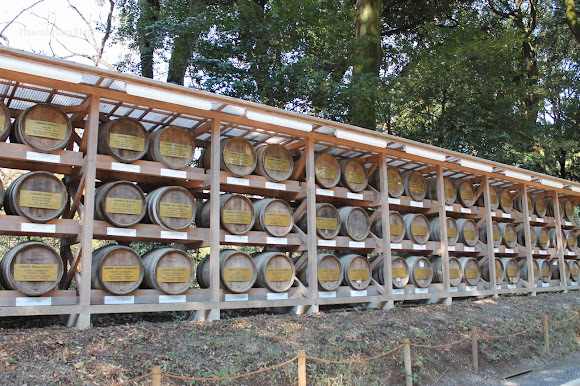 One of the first things you see upon passing through the first torii is a wall of sake barrels. 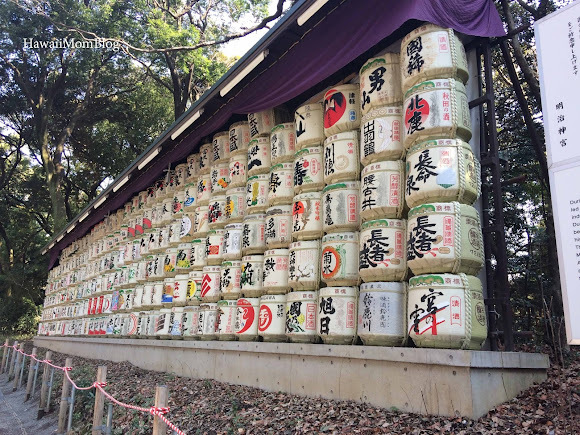 The sake is offered each year to the deities. There is also a wall of wine, given as a gift by wineries in Bourgogne in France to foster continued positive relations between the countries. 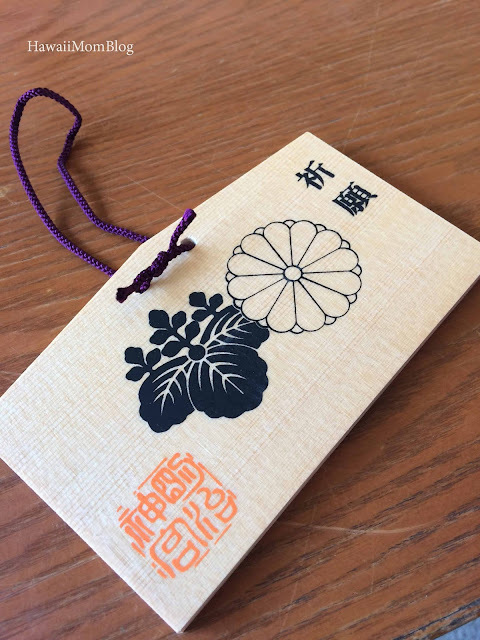 Once at the shrine, we bought a Votive Tablet. 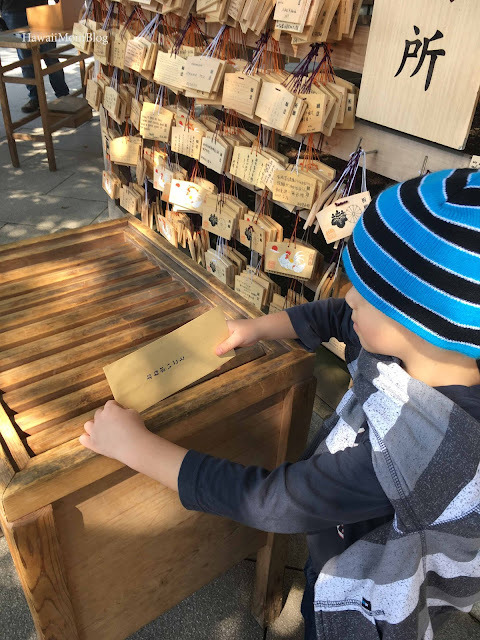 People use the votive tablets to write prayers and messages of of gratitude. I wrote a message for our family and placed the votive tablet on the rack. A couple of my kids also completed a prayer form. 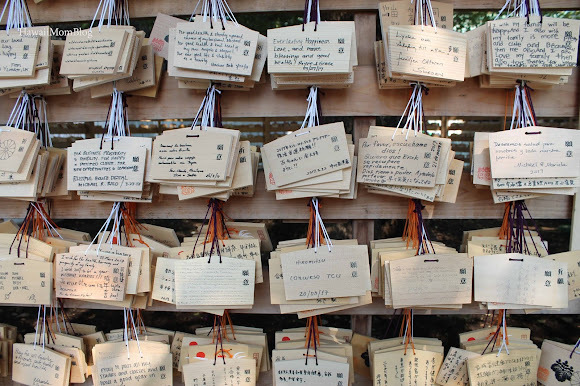 This form of offering a prayer or message of gratitude is free. 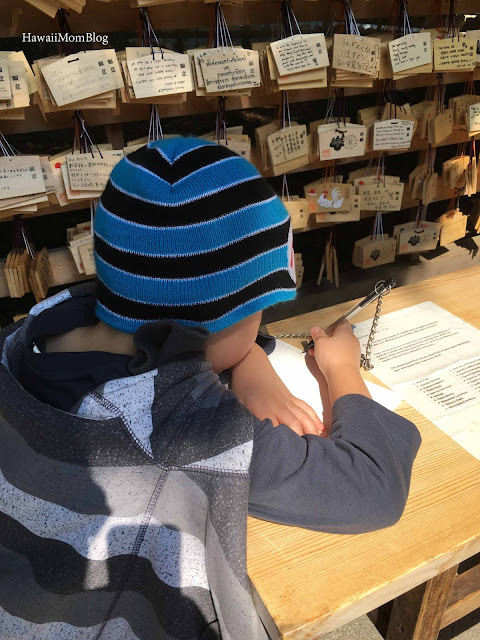 After writing their messages, my kids placed them in envelopes and deposited them into a box. 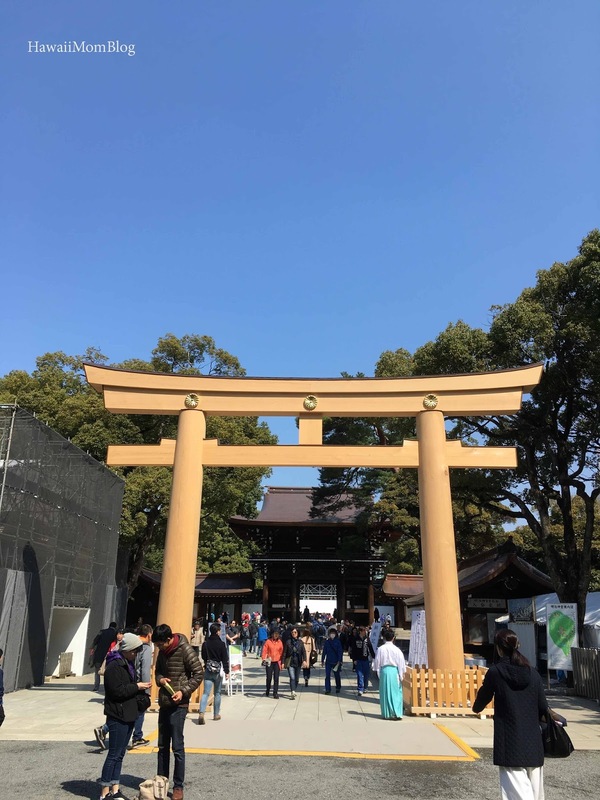 Unfortunately there were a lot of renovations going on and many parts of the shrine were blocked off, so we just took a quick walk around the area. You are free to take photos when you are out in the open, but photos are prohibited inside the halls (e.g. anywhere a "roof is above your head"). It was a quick visit, but I'm thankful I was able to leave a message on the votive tablet rack for our family!